Aircraft, helicopters, and modern avionics get people to Las Vegas; from there, ground transportation is often the mode to explore Las Vegas’ sites and attractions. Las Vegas continues to explore cutting edge technology to solve the traffic congestion caused by massive growth. Freeways and highways are all undergoing massive construction projects to widen the lanes and relieve congestion. The Las Vegas Monorail is the newest achievement to help tourists and conventioneers traverse the strip and the world’s largest convention center. 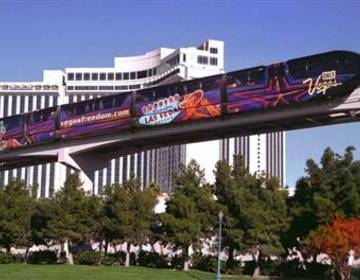 Connecting the Sahara Hotel, the MGM, the Hilton Hotel, the Las Vegas Convention Center, the Imperial Palace, Harrah’s, Caesar’s, Bally’s and the Paris Hotels the monorail is a great above ground subway albeit an expensive one. Unfortunately, even though it glides above traffic it is not immune to accidents. Monorails are subject to electrical fires, collisions, abrupt stops, and other accidents one might encounter with a subway—except the derailment issue. The cost of the monorail system has been the biggest issue so far, and yet, many of the kinks have not been completely worked out. This has caused periods of complete stoppage and expensive delays. If you have been a victim of a monorail accident give Benson and Bingham a call today 24 hours a day. 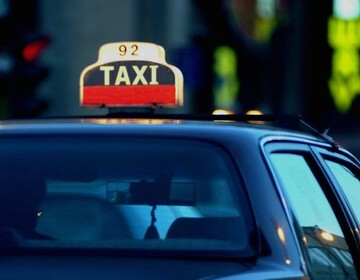 Taxis, buses, and other people movers also help persons navigate the crowded streets. Double Decker buses called, “the Deuce” have emerged to handle more passengers; these buses are modeled after the English double Decker Bus. To lure persons off the strip, casinos have been creative with people mover style escalators to siphon traffic into the money pits. Occasionally, improper maintenance causes a defect to occur causing immediate stops and irregular movement of the floors. Passengers can fall or be seriously injured. Benson and Bingham are experts in the field of personal injury law and transportation accidents. If you need Help, We do it all. To the New Las Vegas Monorail or Helipcopter Sightseeing, Las Vegas has Diverse Options to Explore Southern Nevada.